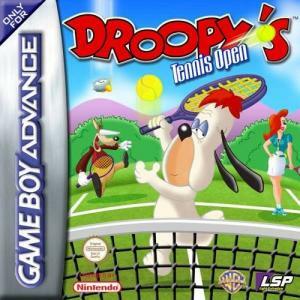 DROOPY'S TENNIS OPEN for Game Boy Advance has a total of six characters each with their own individual and unique set of characteristics and attributes. The player can choose from Droopy, Dripple, Butch, Bubbles, Vavoom, MC Wolf, and Screwy Squirrel. Each game can be played on a background that ranges like a jail, outside of an Old West saloon, and the North Pole with varying terrain like grass, clay, and ice. 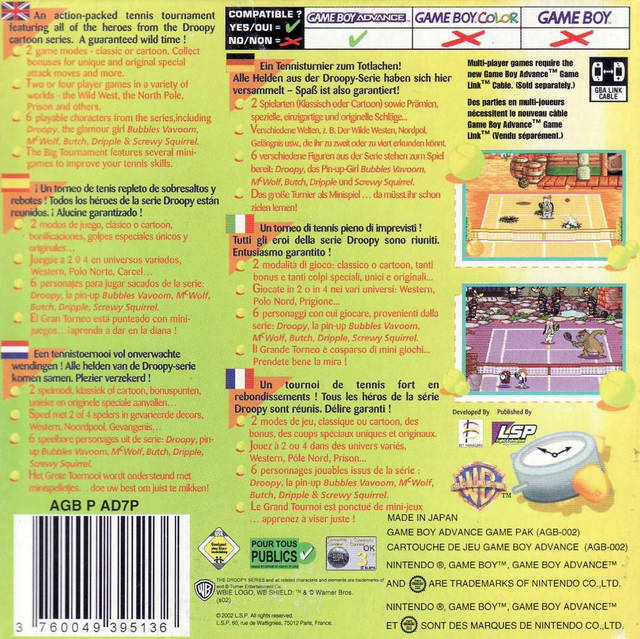 Games can be played in a two-player mode over a single cart and even up to four players with the support of a Game Boy Advance link cable. It will even support the Game Boy Advance's downloadable link for players without requiring a copy of the game. One of the best ways to play this game is in the arcade mode. This mode lets players use special impressive attacks when they build up their powers. The character called 'Vavoom' can set in motion a flirty ball that will dodge and sidestep swings. Droopy can blast off three balls of terror at once for players to panic over and attempt to retrieve them. In general, Butch has the most strength while Screwy possesses extraordinary athletic abilities. This arcade style game is a fun way to participate in an entertaining game with classic characters many already know and love. 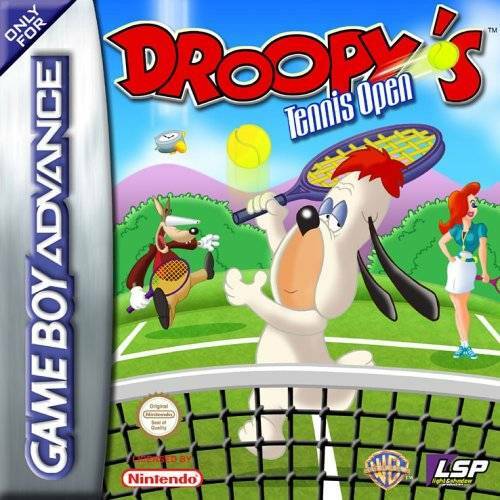 DROOPY'S TENNIS OPEN is sure to draw new fans of the classic cartoon characters as they are just as endearing and entertaining as they have always been in their cartoon shorts.